Cape Town – A construction company on Tuesday was penalised R21.7m by the Competition Tribunal for engaging in tender cover pricing in two construction projects in Stellenbosch. Cover pricing, which is pervasive in the SA construction industry, is an unlawful practice that can deceive a customer about the source and extent of the competition that exists for the work in question. The Competition Commission’s investigation found that Isipani Construction entered into a collusive relationship with competitor Neil Muller Construction during August 2010 and November 2010, the commission said in a statement on Tuesday. 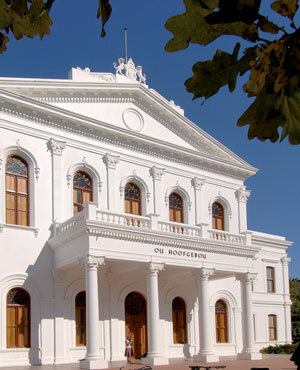 This was in respect to two tenders, the alterations and additions to Stellenbosch University’s Engineering Faculty and the construction of a private building in Stellenbosch, the Tienie Louw Building. Isipani admitted to these offences, but opposed paying the maximum fine of 10% of its annual turnover in respect of each of the two contraventions, the commission said. “After considering both mitigating and aggravating factors, the Tribunal ordered the company to pay an administrative penalty of R21 783 153.40 for both competition offences. “According to Isipani, the alleged intention of NMC (Neil Muller Construction) was to submit a bid at a higher price than Isipani in order to ensure that it did not win the tender, but remain on the university’s tender list to be invited to tender for future projects. “Isipani submitted that the rationale for this practice of cover pricing was the fear that by not tendering pre-selected contractors, it may be excluded from future invitations by the university to tender. “Isipani, on the other hand, in both instances submitted bids with a view to being awarded the tenders, although in the end it was unsuccessful in both tenders. Neil Muller Construction applied to the Commission for and was awarded corporate leniency.